But what was I missing or looking for the longest? Well, actually the last puzzle piece arrived last week. 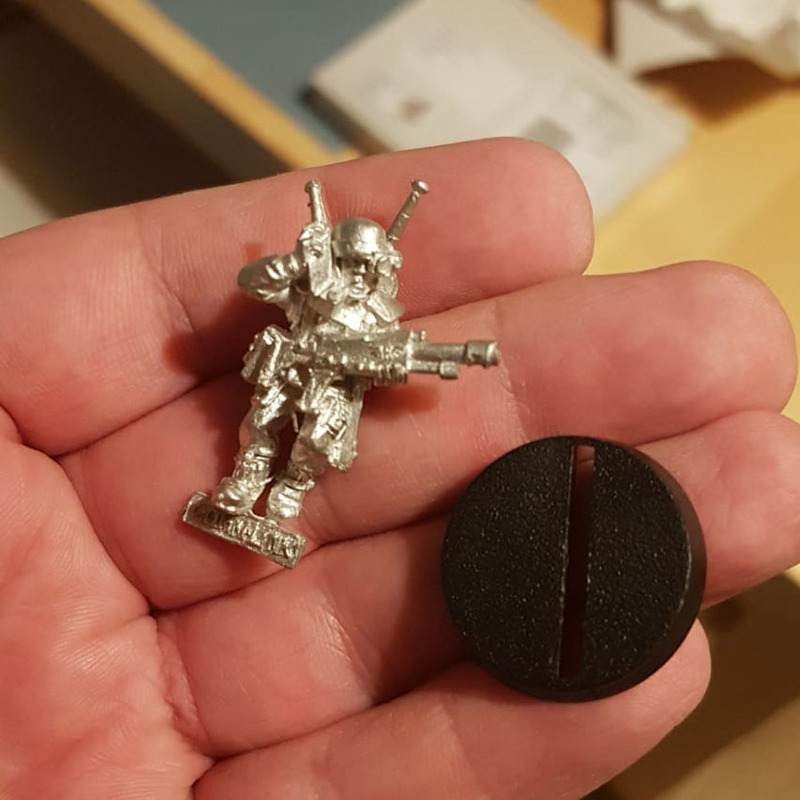 The cadian comm-link trooper, took a bit time and was a bit more expensive - compared to the other items, not as a miniature itself. Try finding old Harlequin jetbikes, that will drill holes in your pocket. But ontop I struck gold. 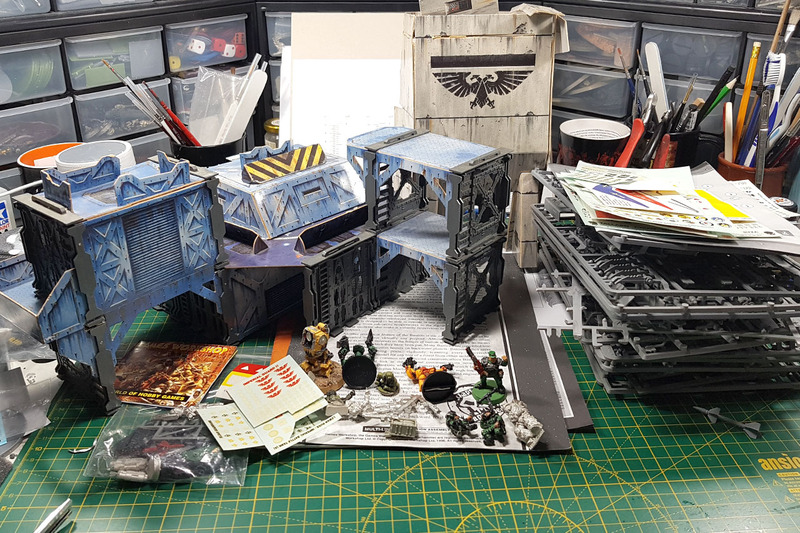 I managed to set up a contact from abroad, that supplied me with new-in-box, untouched, partly even still shrink-wrapped Imperial Guard vehicle kits. 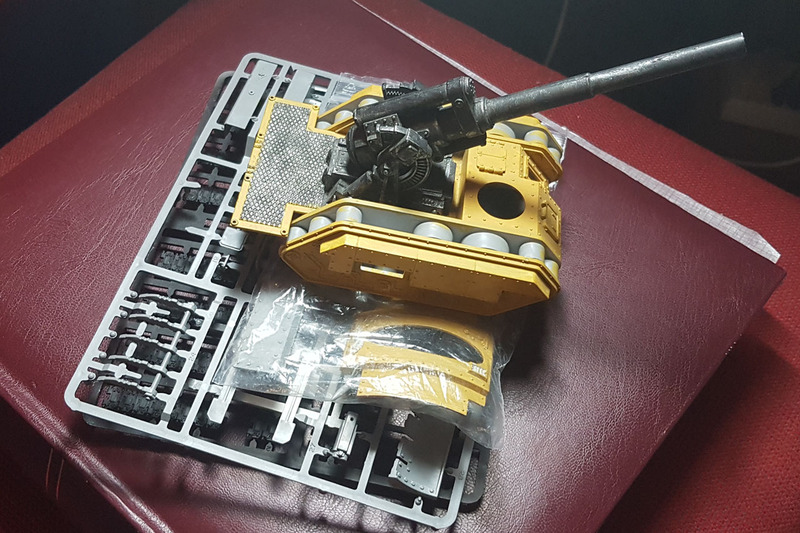 As this is so much more convenient compared to stripping and restoring some of the vehicles I bought in the meantime, I'll sell those painted kits off. 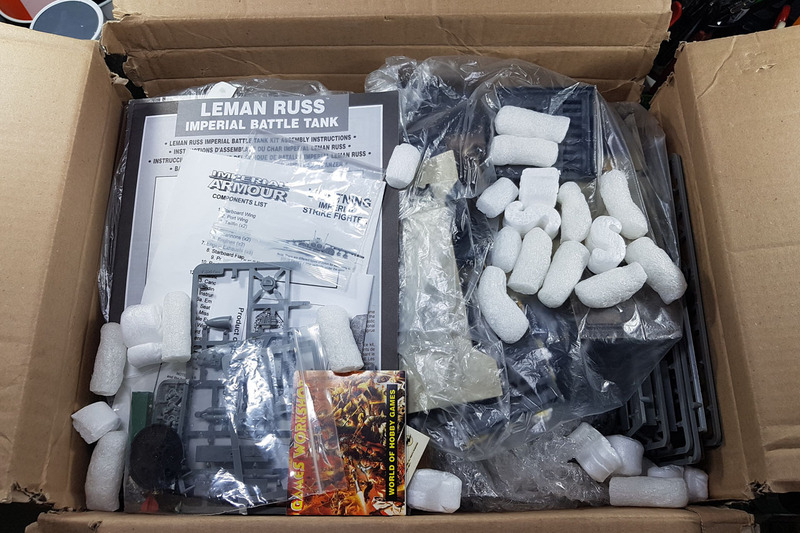 Give me a note, if you're interested in a Leman Russ Battle Tank and Demolisher, painted in black. 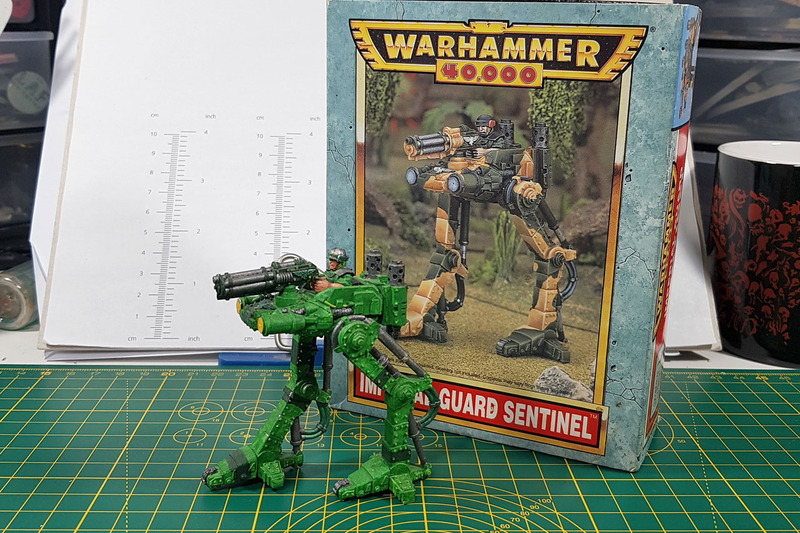 The Sentinel wasn't on my original wishlist, but I came across it and it is complete metal, so easy to clean and a definite Oldhammer worthy kit for this project. The price was reasonable, so I added that one to the project as well. 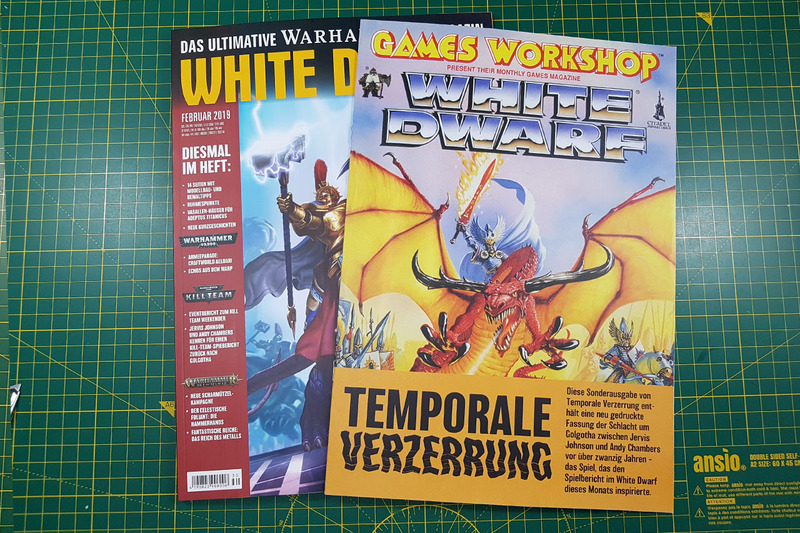 They included a 16 page booklet covering classic battle reports between Jervis Johnson and Andy Chambers, with a very prominent one from White Dwarf UK Issue #154. That's October 1992, well before any German White Dwarfs were released. 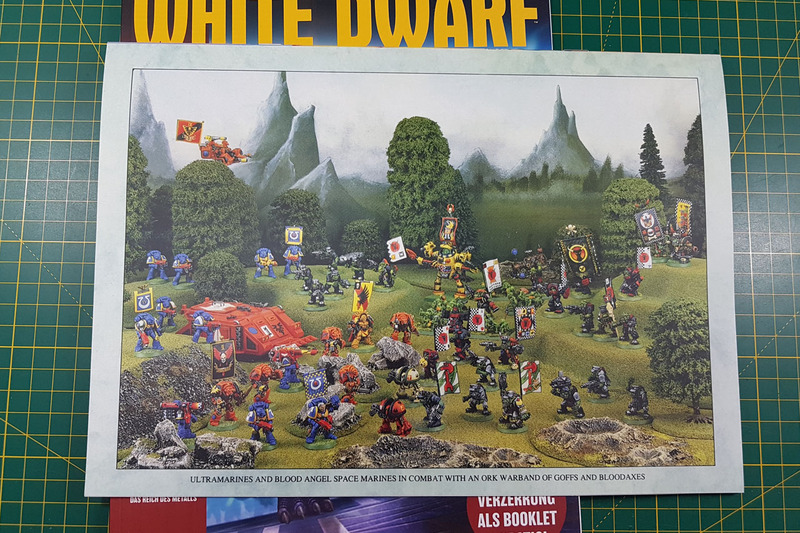 Just look at that retro battle scene on the back between the Orks and Ultramarines. 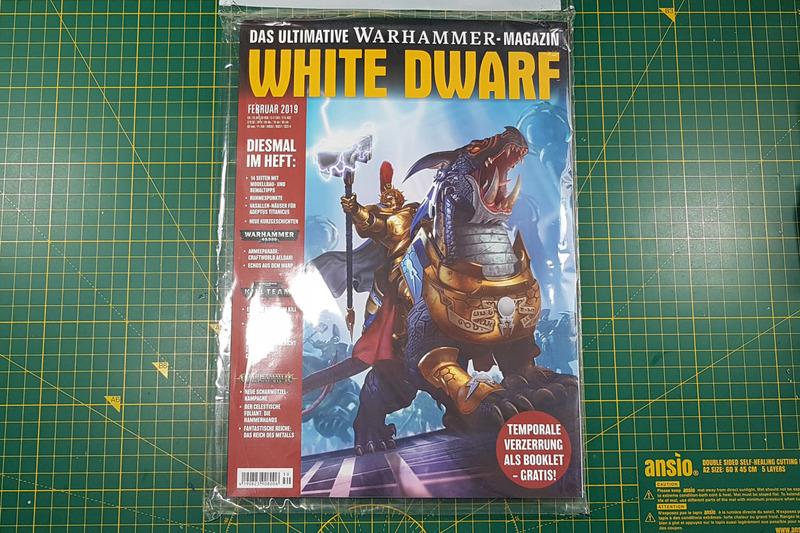 A very awesome additional and goodie with the White Dwarf. Haven't had the time to take a closer look on the march issue, but that one looks promising as well. So what's the current status? 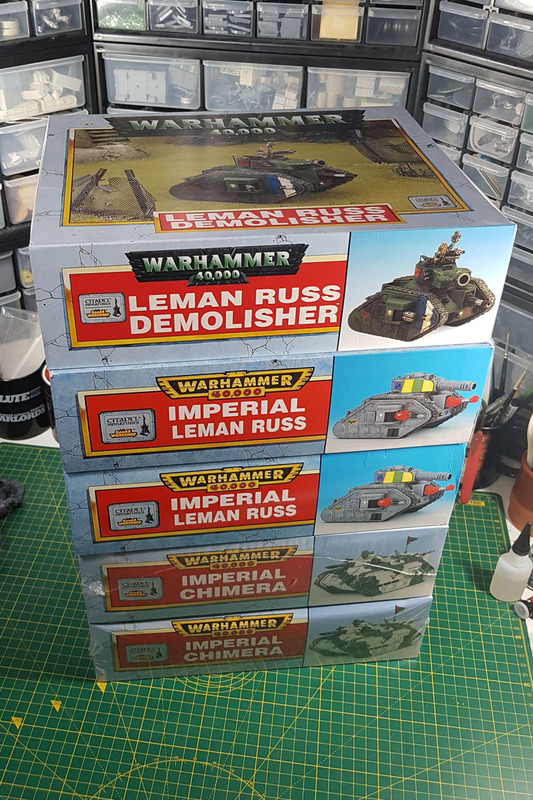 I got all the stock that I need for my Oldhammer Imperial Guard project. I'll cover the clean up and restoring part as promissed, and I'll do reviews on the old / vintage kits, of course, similar to the newer articles that I wrote here, including a bit of history on the kit, what's new, what has changed and as a special bonus as part of the oldhammer coverage, what to look for, to stay out of trouble or to ensure "maximum joy" with the 2nd hand kits you're acquiring.